I have run across several books of poetry that acknowledge or reference W.G. Sebald. None of these books seem to me to be truly “under the influence” of Sebald, but in various ways they quote him, refer to his writings, or acknowledge common ground. Skinner’s poems often meditate on death, memory, familial alienation, language and place.The first three sentences of the prose poem Sky Caps: “This morning when I looked out the window I was once again surprised by the ocean.That’s what I get for living so long in the Midwest.The absence of salt water: a kind of amnesia.”In many of his poems Skinner has a natural way of free associating and permitting unsettling juxtapositions to arise and send the poem off in unexpected directions, forcing the reader to continually reassess his or her assumptions. To continue with Sky Caps, for example, the poet, fumbling for the word to describe the wind-blown waves (whitecaps), can only come up with the word “skycaps” at first. For a mysterious and exquisite moment, this allows the image of an airport baggage carousel to be superimposed over the poet’s vision of waves ceaselessly coming ashore. 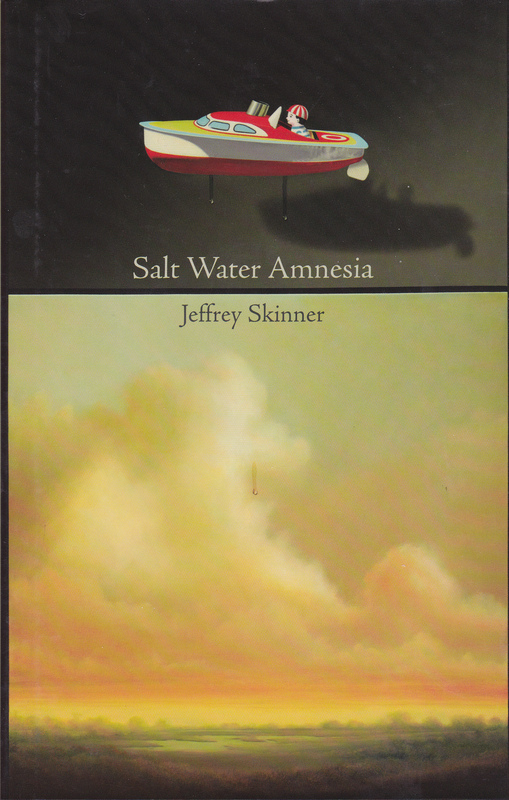 Skinner teaches at the University of Louisville.The first edition of Salt Water Amnesia is a very handsome volume from Ausable Press (named for the Ausable River in the Adirondacks). It is bound in black cloth with green stamping on the spine and bears a dust jacket design from a painting called High and Dry by Gregory D. West that wonderfully captures the juxtapositions which are so crucial to Skinner’s writing. In An English Apocalypse, the 2001 book of poems by the Hungarian-born poet and translator Georges Szirtes, is Backwaters: Northfolk Fields, a series of twelve linked sonnets dedicated to Sebald.Backwaters: Northfolk Fields is Szirtes multi-paneled panorama of life in a provincial backwater – “…this far, flat/kingdom with its glum farmers”. 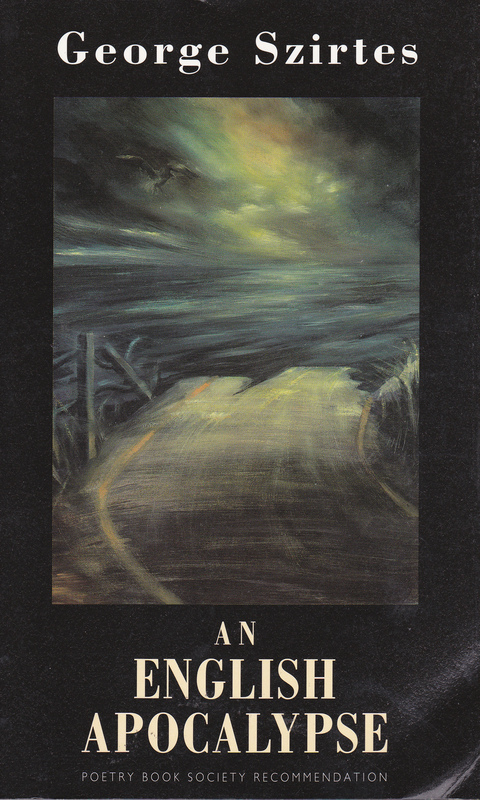 The first edition of An English Apocalypse is a paperback with a painting of the same name by his wife Clarissa Upchurch on the front cover. Szirtes is a terrific poet and in a later post I’ll deal with his (and other) elegies to Sebald. He lives in Norwich and has a website and blog. Both of the Corruption poems are brief prose poems – less than half a page long – and each consists of a single restless paragraph. Corruption, for instance, starts on the subject of psalms, moves to the history of ink, then to the phosphorescent qualities of dead cuttlefish, concluding with the brief sentence: “You can read by this light. ”If nothing else, Reddy’s interest in arcane knowledge is a very Sebaldian trait. The first edition of Facts for Visitors was issued in black cloth with iridescent blue lettering on the spine (that simply doesn’t photograph).It appears to have been published without a dust jacket.Reddy currently teaches at the University of Chicago.